Pure elegance with a touch of home. 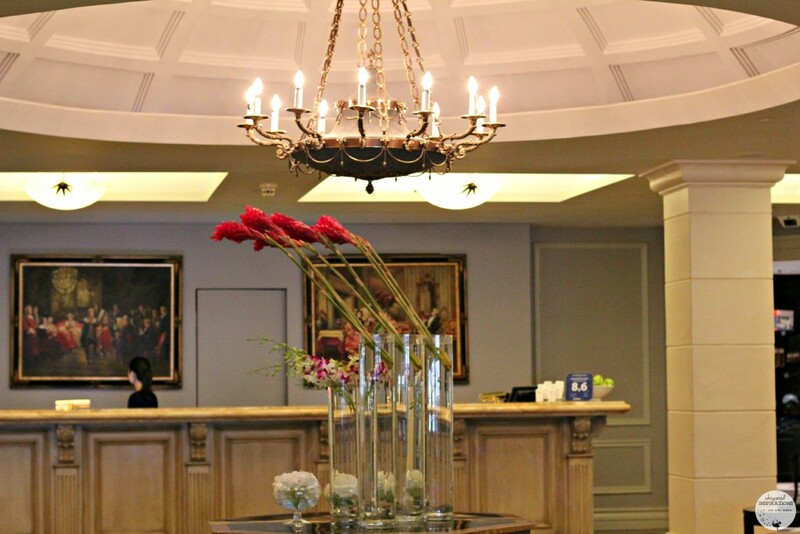 This March, we had the chance to take in Toronto and be guests in the Garden District of The Grand Hotel & Suites. I’ll be honest, I’ve heard great things about the hotel and I was very anxious and excited to stay. Driving up to the hotel, we parked out front and as soon as stepped out, we were greeted by a doorman and bell hop. My first thoughts: How classy is this? 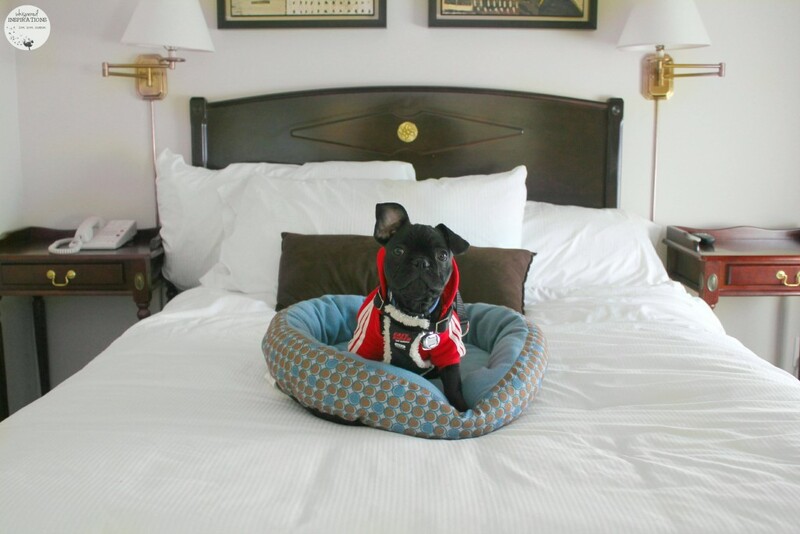 One of the main reasons we decided to stay at The Grand is that it was pet-friendly. 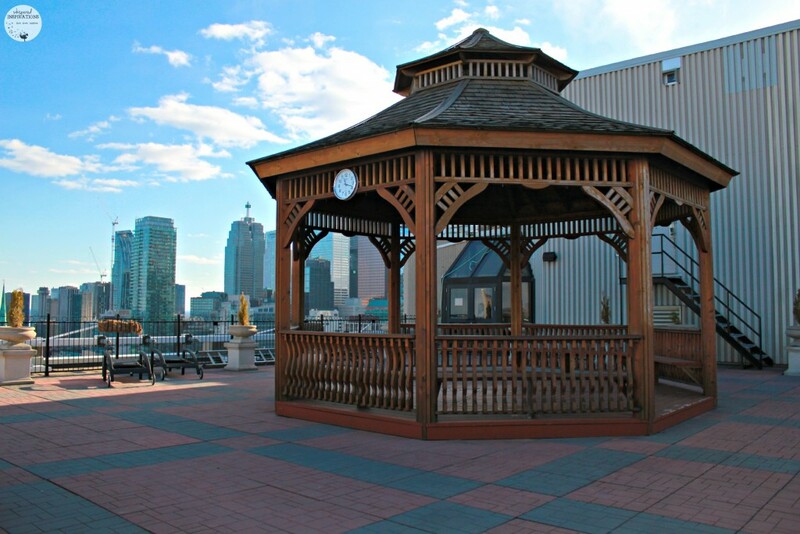 It invites our four-legged friends to enjoy a haven nestled in the core of Toronto. That, to us, is super important. We also wanted a place that could accommodate 5 of us. Something that was close to the core and in walking distance of the TTC. The Grand Hotel is all of this and more. 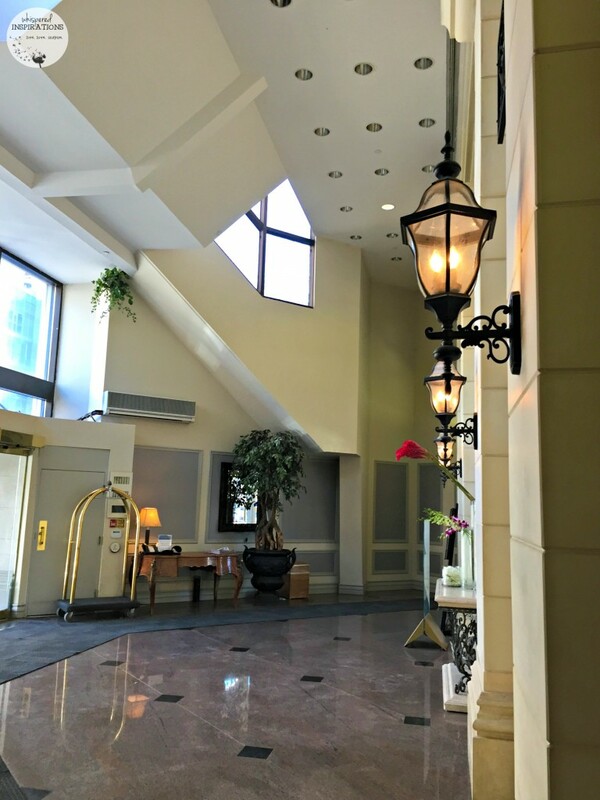 The inside of the hotel is just as gorgeous as the outside, the lobby is grandiose, adorned with elegant Hydrangeas and orchids. 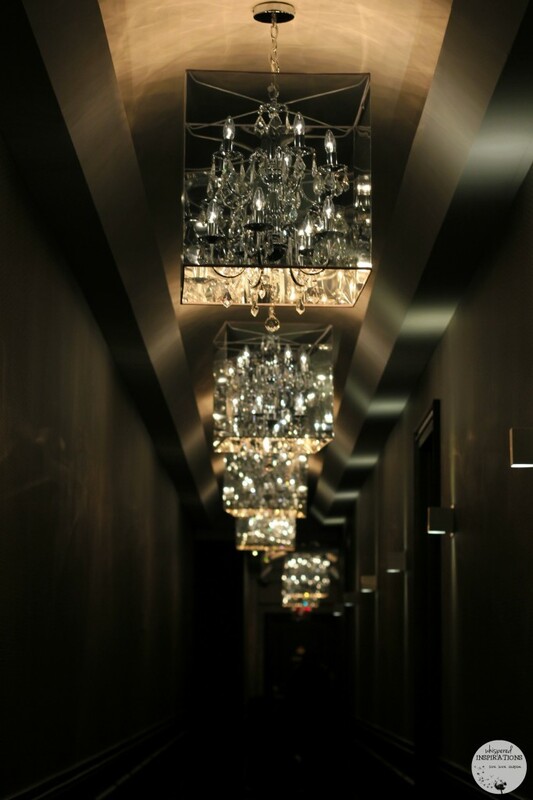 Beautiful chandeliers, molded ceilings and to top it off, you’re greeted by a courteous front desk staff. We checked in quickly and were given our keys to our room. We were super excited to see the suite and the front desk employee made sure we had everything we needed before making our way up. 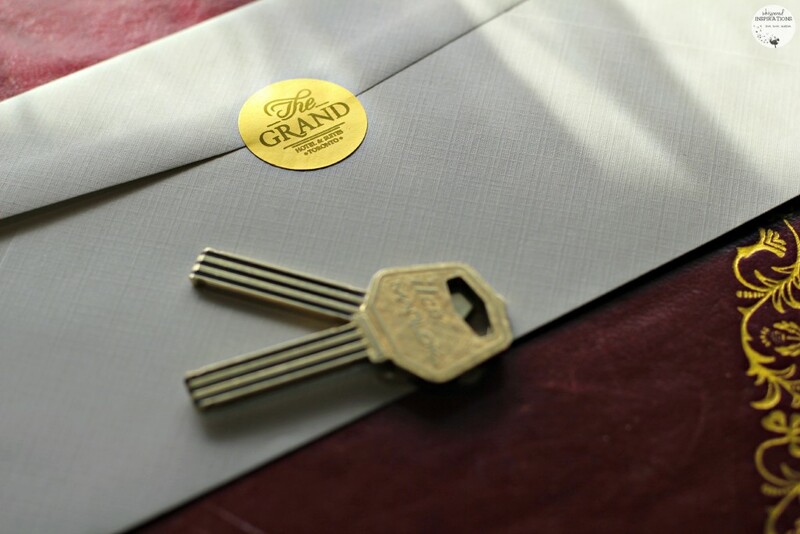 The Key to The Grand. We were given some really cool, electric keys. But, take a look, they are actually keys. 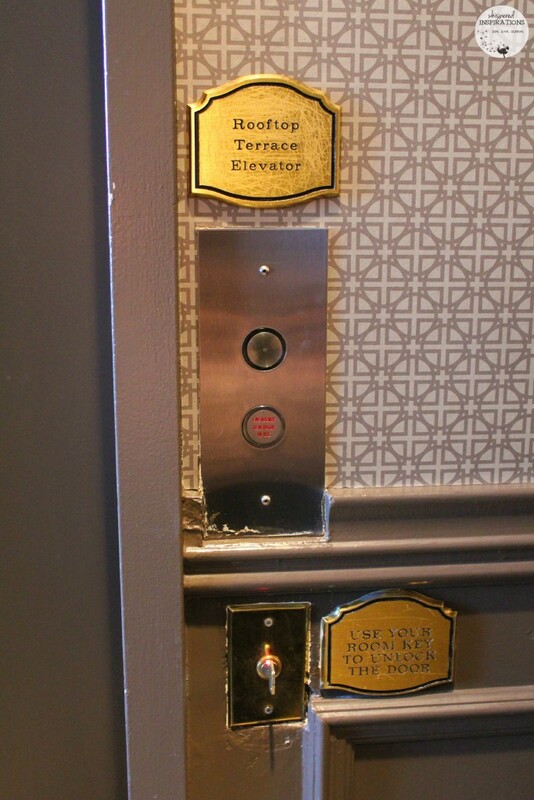 A small touch like this really cemented the overall feel of the hotel. Traditional, elegant but, with a twist of modern. I loved it and we were also to be guests of Citrus, their imaginative cuisine and diverse menu, we were stoked. But, that was to enjoy later. 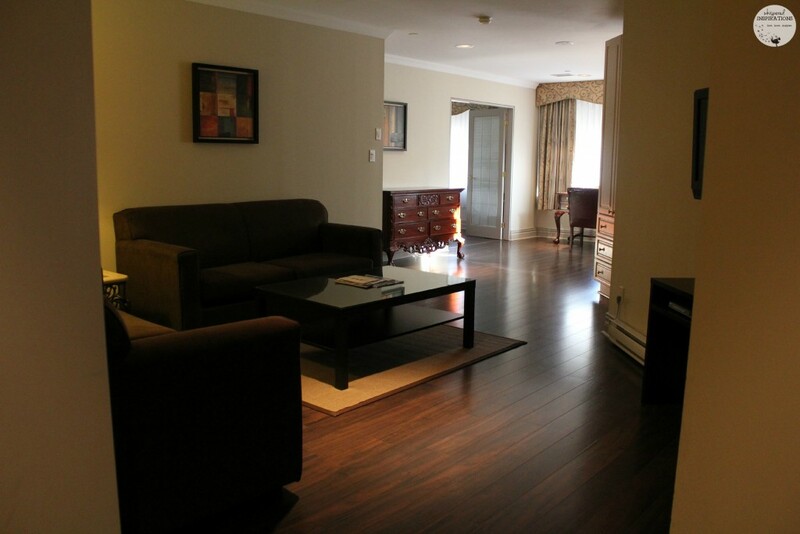 You really get the taste of city life the moment you step into the suite. 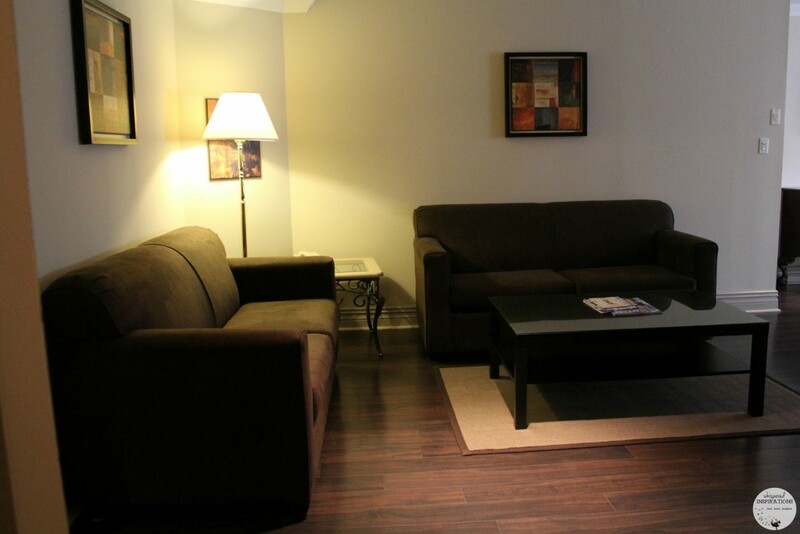 Two couches, a coffee table and a TV. The couches transform into pull-outs so you are covered when it comes to having your whole party comfortable. 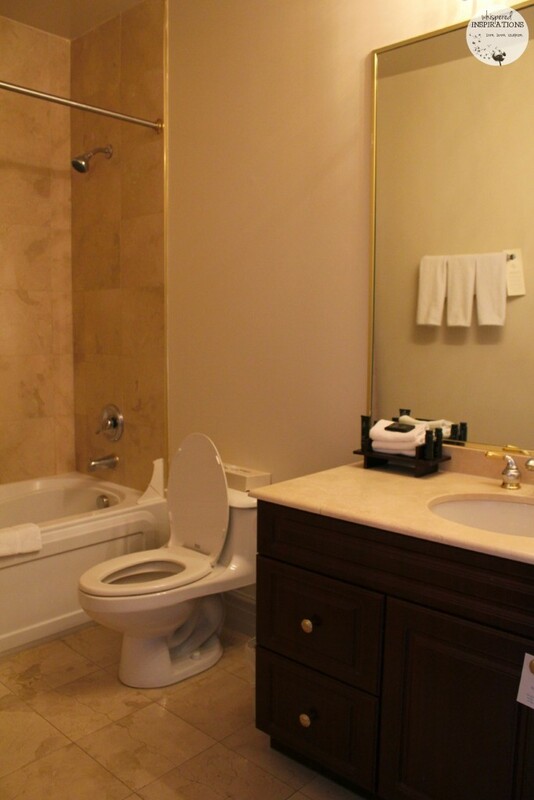 The suite has two marble washrooms and the first one is accessible to everyone. 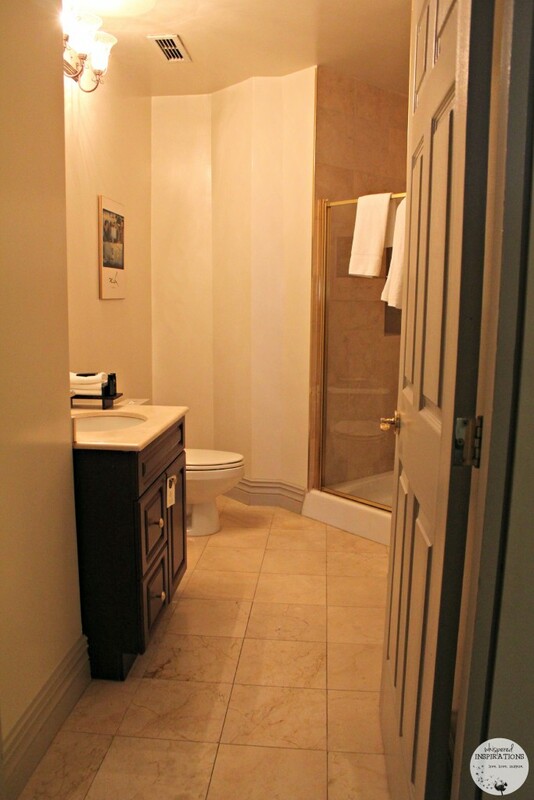 The other is an en suite marble washroom. 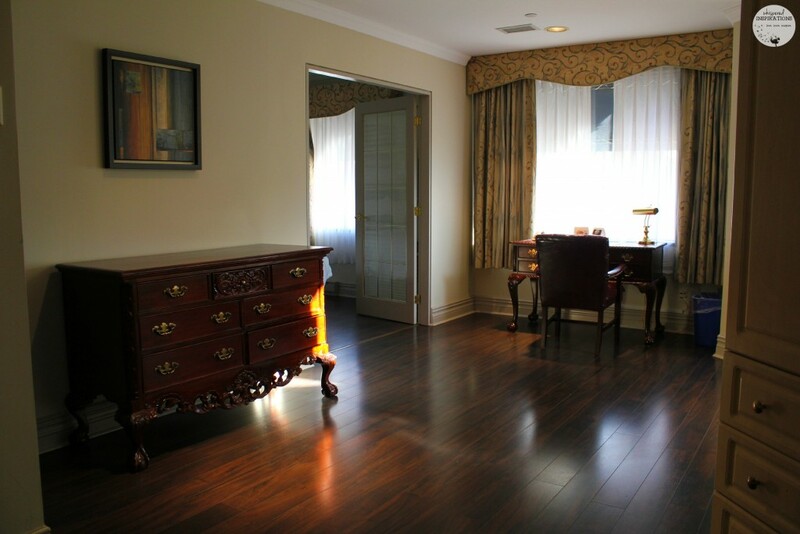 In the living room, there is an armoire with robes, a safe and hangers to put away your coats. We explored the rest of our suite and we were simply blown away at how home-y the suite was. Of course, it has a touch of elegance and luxury that I don’t have at home. For example, I fell in love with this desk. It is absolutely gorgeous and I did some work and checked my morning emails here, just because. 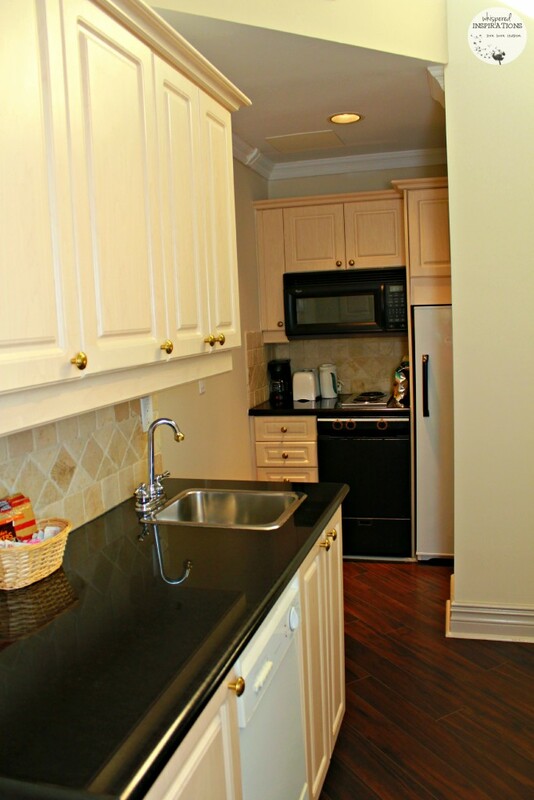 It was nice to have a kitchenette in our suite. 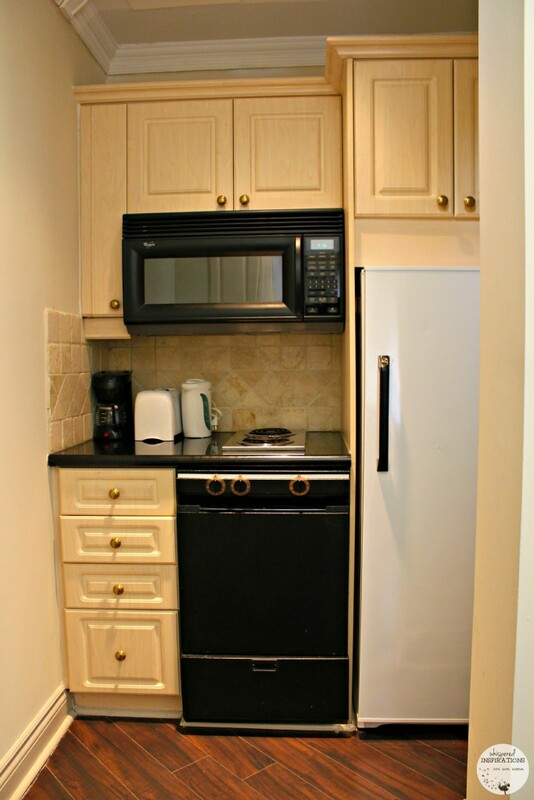 Fully stocked with a dishwasher, fridge, stove and dishware. We had purchased some drinks and snacks and it was useful to have the fridge to keep them chilled. Not to mention, Smoke’s Poutinerie is literally around the corner. We walked there and ordered poutines and ate them in our suite. Did I mention the vaulted ceiling? Simply spectacular! The two bedrooms were super comfortable. We stayed in the main bedroom with the en suite and it was heavenly. 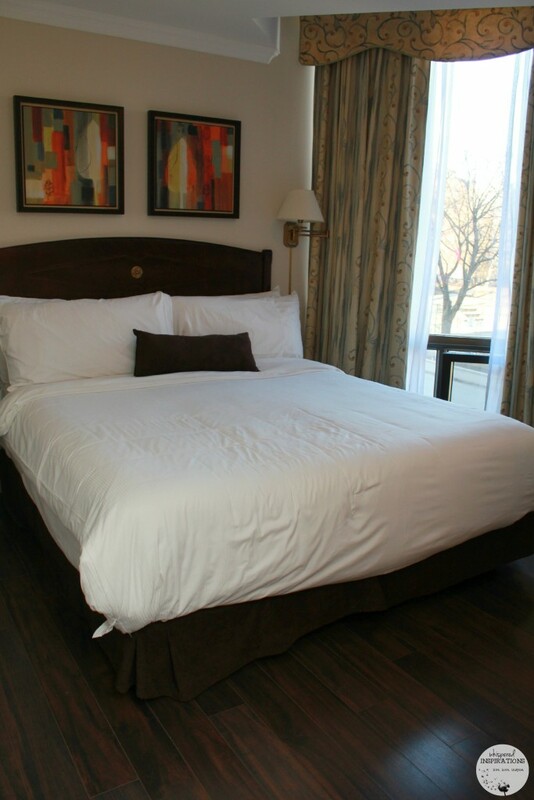 It had a soft bed, perfect pillows and since I tend to get warm at night, a window that actually opens! It was nice to have the cool breeze come in at night and even better to have a good night’s sleep. It was helpful to have the girls have their own pull-out bed and TV just outside and we all had our own space. It was refreshing to not have to be in each other’s space like in traditional hotel rooms. My brother stayed in the secondary room and he had his own TV. 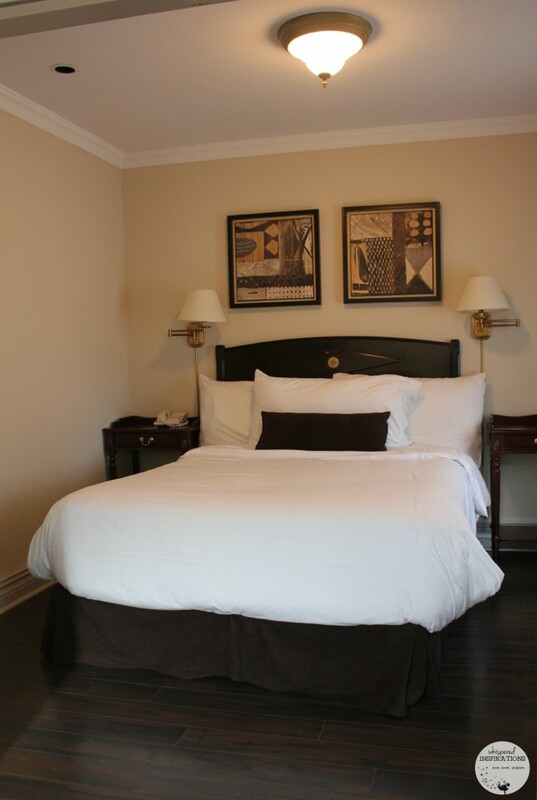 The room has beautiful french doors and is private. He enjoyed his stay and loved having his own room and to be able to watch his own programs without interruption. 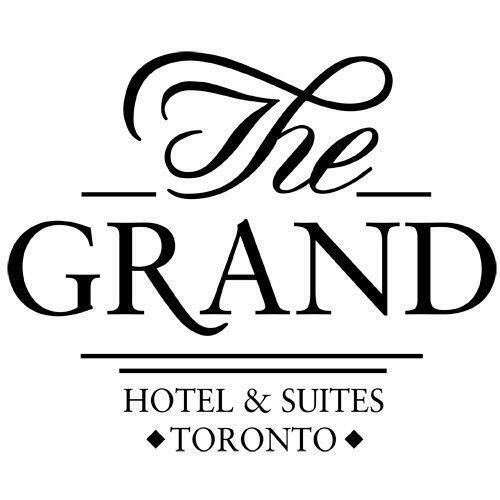 What makes the Grand Hotel Toronto absolutely unique is that hit has an absolutely fabulous 8, 000 sq. feet rooftop terrace. 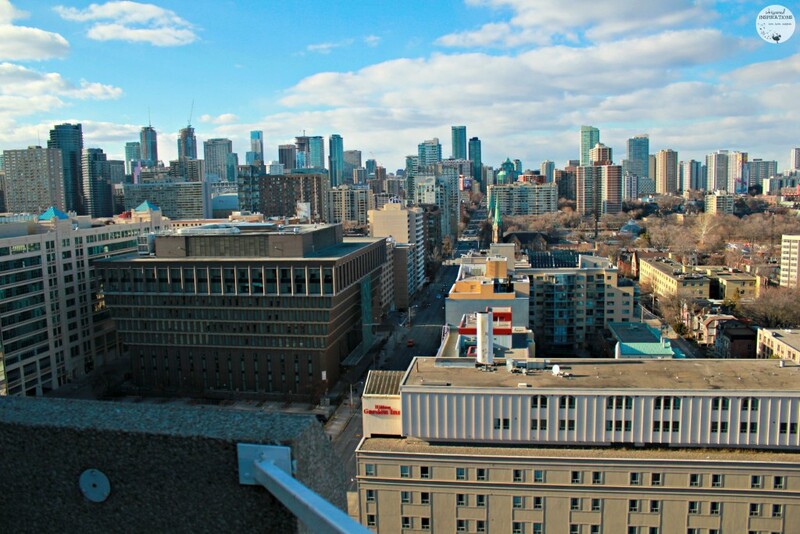 From up above 18 floors, you can see a panoramic view of Toronto. 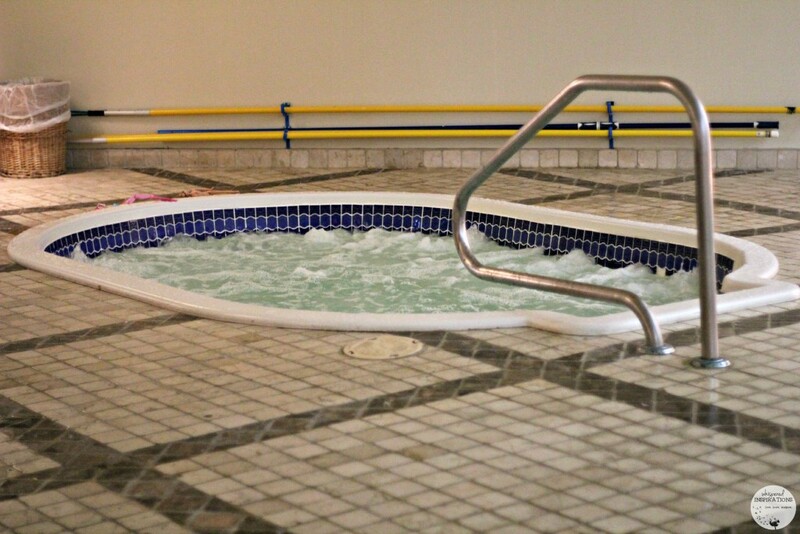 There are two heated whirlpools and we took advantage of one and braved the cold. It was freezing out but, it was absolutely perfect in the hot tub. I think a great hotel is made great by having all the amenities that help you relax. Not only is the rooftop terrace is awesome but, the pool is stellar. 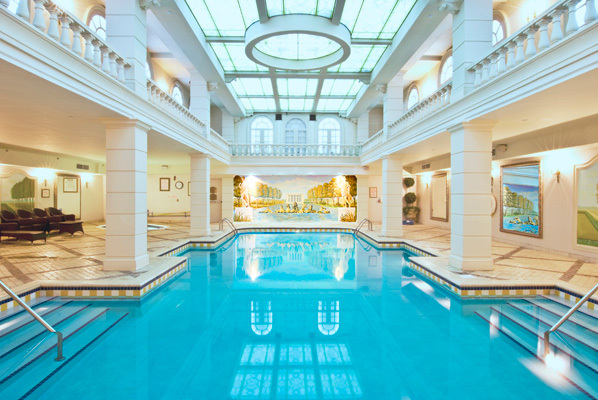 The neo-classical, two-storey pool is reminiscent of what I imagine soaking pools in Greece or Rome. Surrounding the pool are beautiful murals of the Garden of Versailles painted by Art De Villers. 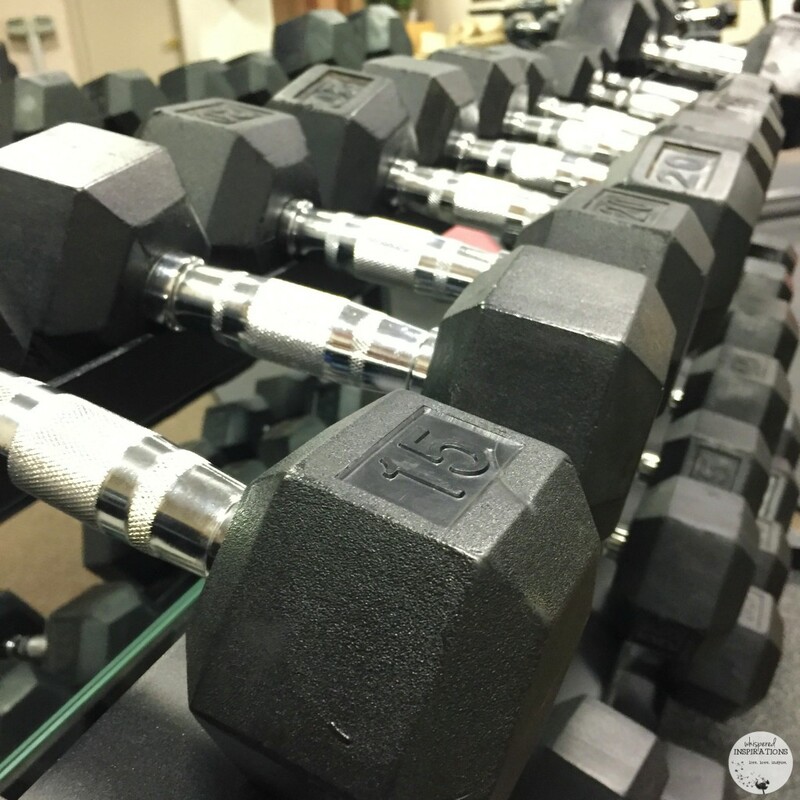 The 5, 000 sq. 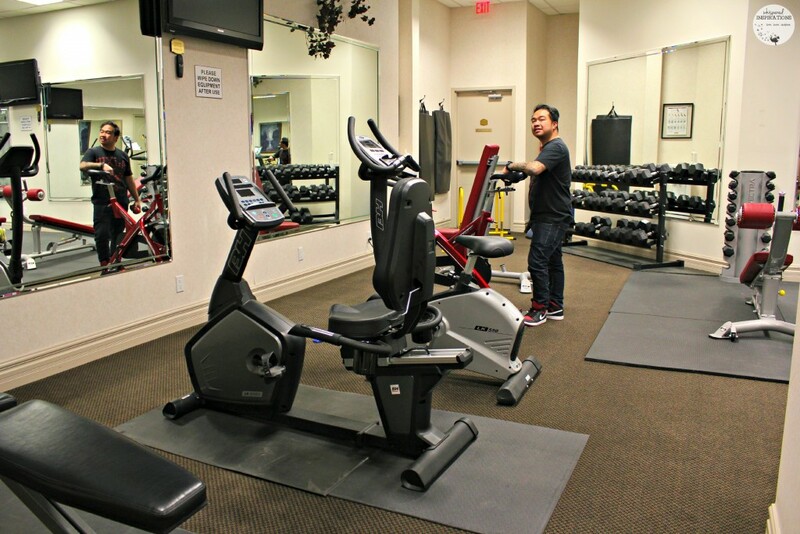 feet gym is perfect for the health wise traveler and has everything you need to keep up with your fitness. There’s also a sauna and steam room in the shower room if you need to relax furthermore. 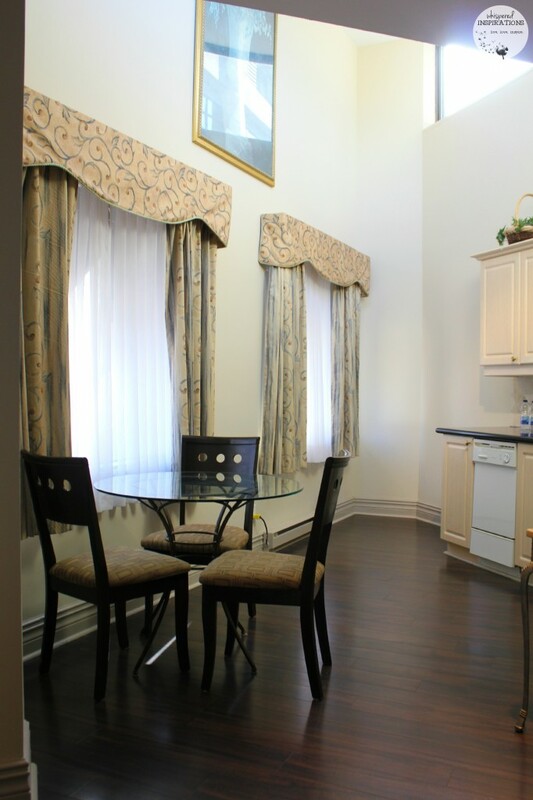 It is centrally located to shopping, businesses and theatres. There’s also plenty of places to take your furbaby out for a stroll. 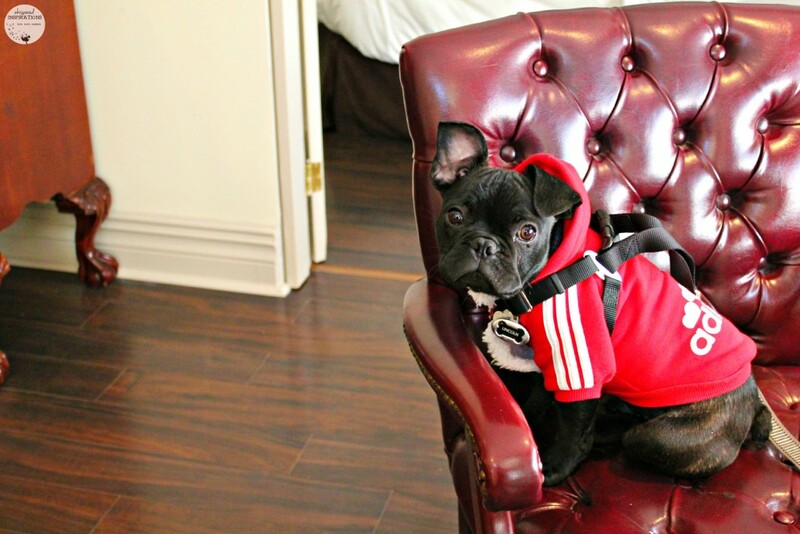 Toronto is very dog-friendly and with Dundas Square not even 15 minutes away, you can really take in the city. The TTC is also great and during down times, you can bring him on board. Other great hotel services are the luxury SUV shuttle, 24-hour gift shop and don’t forget the Citrus Restaurant and Citrus Lounge. You can also rest assured that your car will be safe in their underground parking garage. Though I must admit, you may need super awesome skills to maneuver through the garage. But, the valet are experts and park your car with ease. 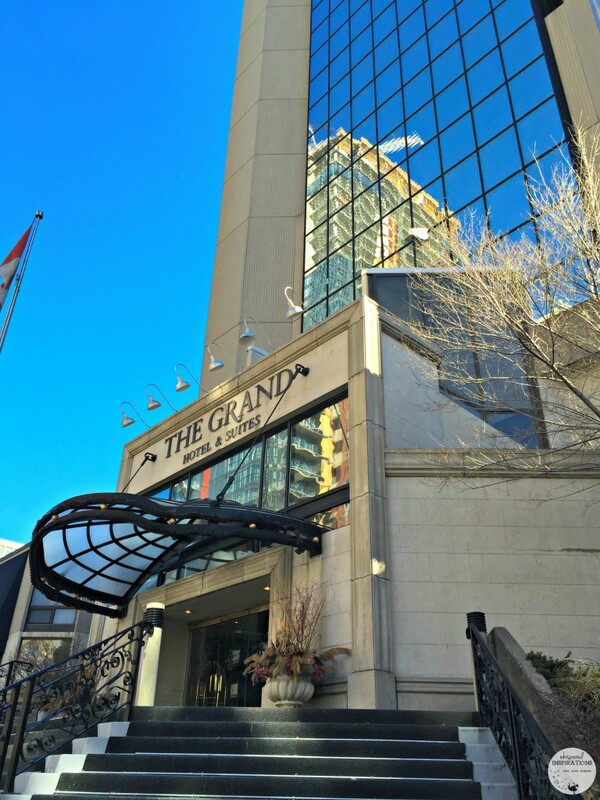 I’ve stayed in many locations in Toronto and across the US and other countries but I must say that The Grand Hotel and Suites has been one of my favorite places to stay. My tips would be to stay more than one night. While the hotel is gorgeous from the outside and if you aren’t familiar with the Garden District, it is a bit more residential. It may not be like what you are used to but, I cannot wait to come back. The incredible blend of traditional and modern in a breathtaking city with so much to do, you get a different experience of Toronto. It’s a place to unwind and relax. A place where you actually enjoy the amenities, the company you’re traveling with and a place to rest your head after a long day. Make sure to eat at Citrus. You get a complimentary breakfast and they have an amazing dinner menu with your favorite gourmet dishes and renowned sushi. I’ll be showing you our sensational experience at Citrus in my next post. 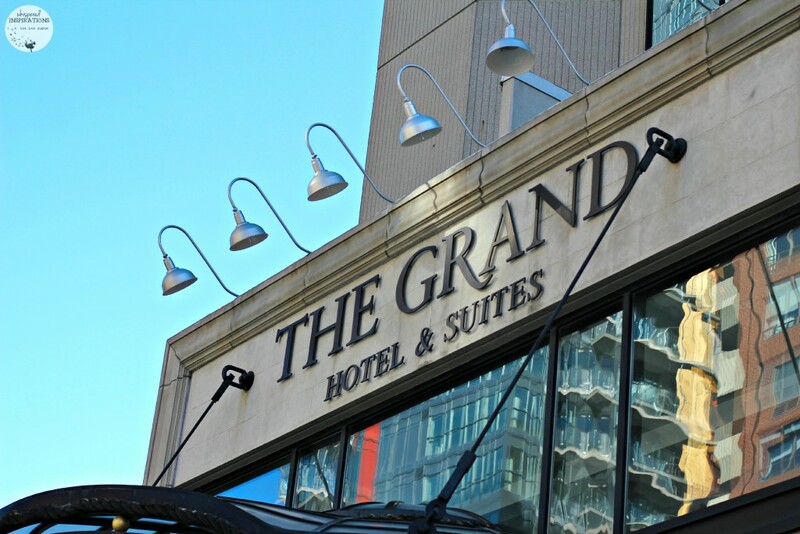 For more information or to book you next stay at The Grand Hotel & Suites in Toronto visit their site, here. They have all the information you need and more. Be sure to watch out for my upcoming review on Citrus! Have you ever stayed at a more residential hotel? That sounds like a gorgeous hotel. I haven't been to Toronto in ages, but would LOVE to go back. 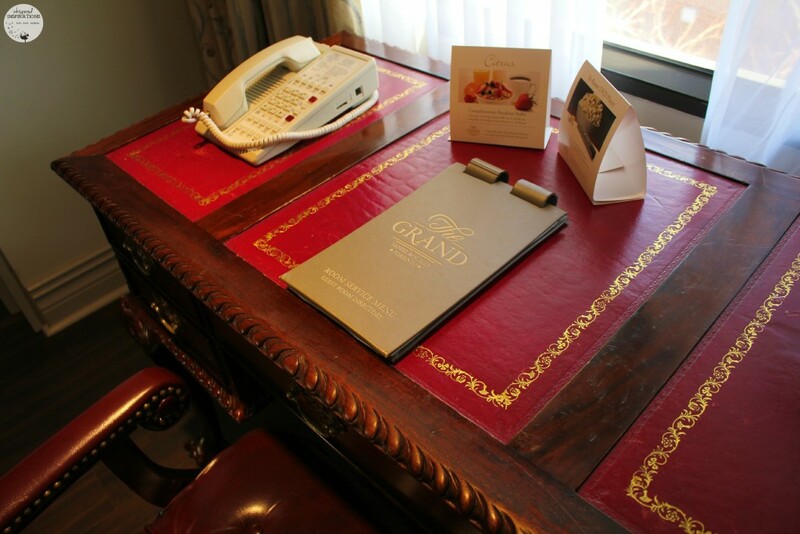 The Grand Hotel & Suites looks AMAZING! I would definitely love to stay in a suite like that. Looks like you and your family had a great stay! We had an amazing stay, cannot wait to go back! I've never been to Toronto, but if I ever visit, this place looks amazing. I will say, those keys kind of creep me out a little, haha. I can look past that, though. LOL, I loved that special touch but, different strokes, right? Such a grand and elegant hotel! I would love to be in that hot tub on the rooftop. It was chilly but, amazing at the same time! What a beautiful hotel. My daughter and her Fiancee are taking a trip and have a dog they would love that its not only beautiful its pet friendly. Wow just wow! That is a huge selling point for us. 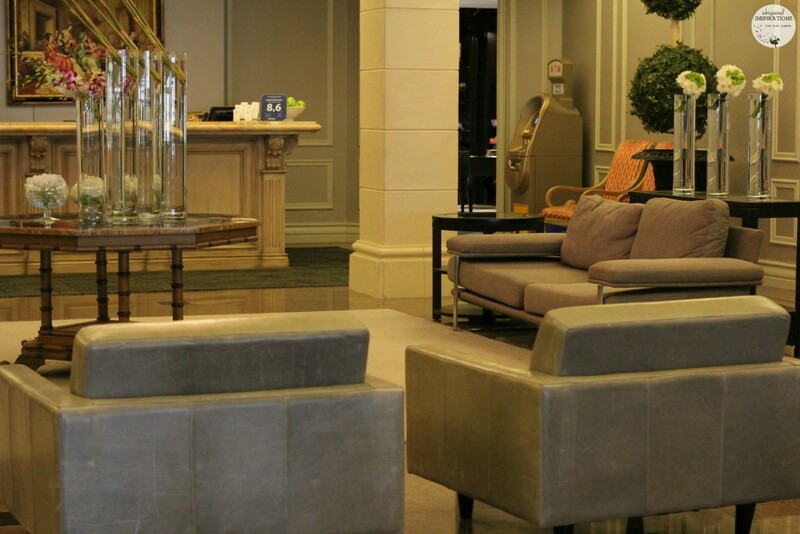 A clean and gorgeous hotel and pet-friendly too. Oh my! I just want to curl up in that bed and never move! It looks so cozy and inviting! I love the look of the grand hotel! Very pristine and yet still so comfortable! Okay, this totally calls out luxury and beauty. I love everything about it and totally want to visit. What a beautiful hotel! Very elegant and very homey! It really is, one of my faves in Toronto. Oh my gosh, what a gorgeous hotel! I would love to go to Toronto. Such an amazing city. Now, you know where to stay! That place looks awesome! Best part (besides the entire place LOL) Is that you can bring your 4 legged friends! I love take my dog everywhere! This place looks absolutely awesome!! Us too, we love our pup. It looks like some nice accommodations. Never been to Toranto before. Maybe one day. That is a stunning hotel! I want to go to Toronto (It's on my bucket list! ), and would love to stay here! The Grand Hotel looks like an amazing place to stay. I go to Toronto often. I will have to stay here on my next trip. What a gorgeous hotel. It sure looks like a place that has everything you need in one convenient location. 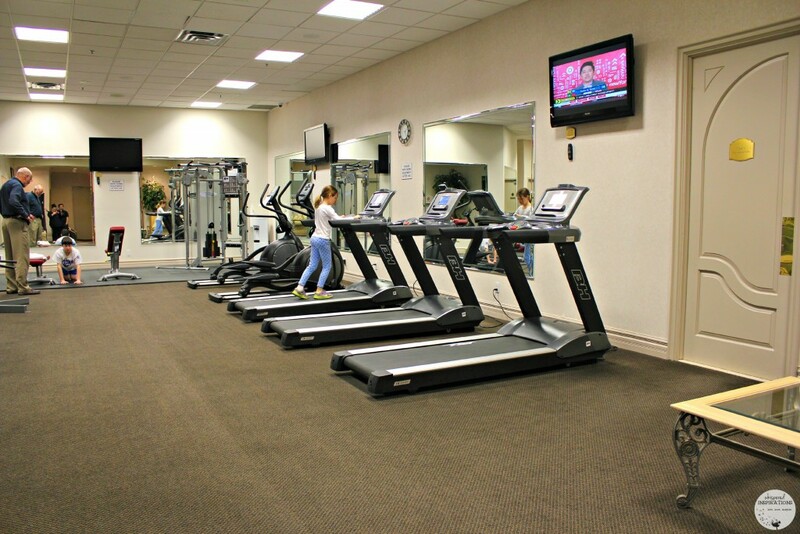 Your suite looks amazing. That is a lovely suite, and it looks so big! 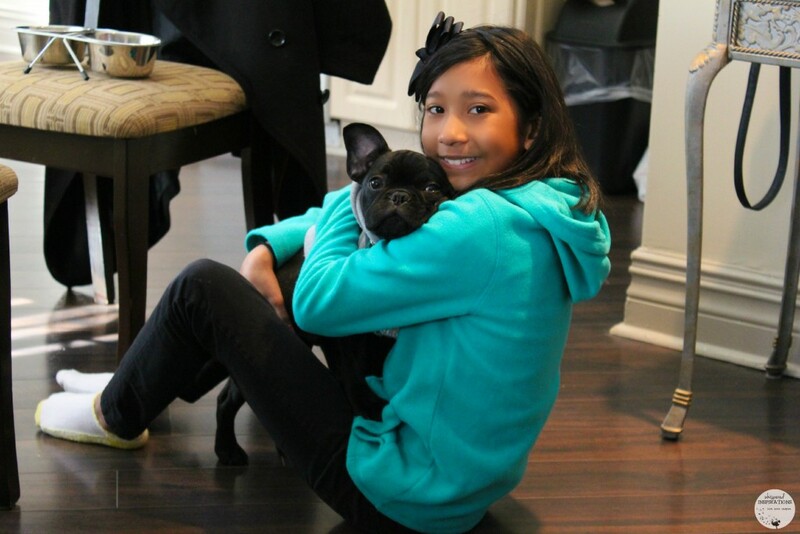 I love to learn about pet friendly places, what to do with a pet is always a consideration when traveling. Wow, so fancy! I love the kitchen and that bed looks like a cloud! Such a cute dog too! What a beautiful Hotel. I love the pictures you took – I feel like I am there. We want to visit that are and I will have to put this Hotel down as a place to stay while we are there. Thanks! You will love it, thanks for keeping it in mind. we have just booked for 9 nights in october travelling from england and my kids cannot wait to get in those hot tubs! OMG, that is amazing! Have fun and enjoy it. It is a Toronto gem.